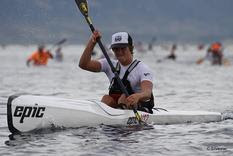 Three Under 19 paddlers are fighting it out for a $500.00 scholarship to the USA Surfski Championships in August 2012 and after 6 races of the Southern California Winter Race Series the competition is really heating up with 17 year old Michael Lowe just passing early leader Garen Doyle. Both Michael and Garen are working hard to hold off Sean Barlow who also has a couple of wins under his belt. 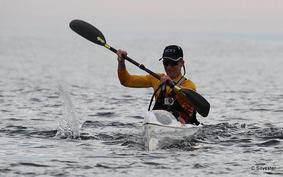 USA Surfski Championships is offering a $500 Scholarship to the top junior SOCAL surfski paddler from this year’s SOCAL Winter Race Series. 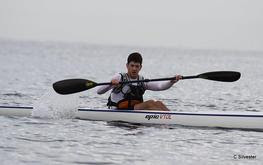 Junior (U19) paddlers earn 100 points for a win in the Long Course and or 50 points for a win in the short course. At the end of the 9 race series the top points winner will be named as the Scholarship winner.